An adventure to be a part of, not just a service to attend. Men aren't as involved in churches as much as they could be - why is that? In fact, many aren't involved at all. Have you noticed we as men tend to compartmentalize, not living a godly life in business, work or family life? Without a real sense of adventure we are unconditionally uncommitted. On Sunday we can be a "good Christian", but Monday is a whole different story... I don't blame them. What most of us are experiencing is boring. Dull. Not exciting. I'm here to tell you life doesn't have to be so boring. 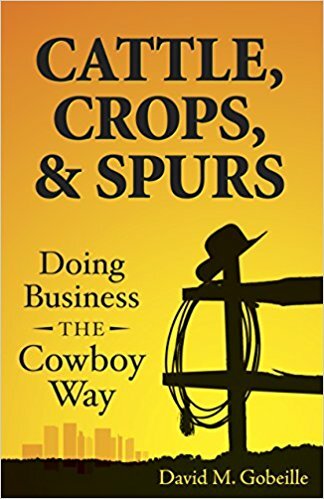 If you want better engagement from the men in your church body, to develop as leaders, to provide a way for men's needs to be met which allows them a better sense of belonging in God's community - I encourage you to host and facilitate this 12 Week Bible Study centered around Cattle, Crops, & Spurs: Doing Business the Cowboy Way. If you're ready for the men in your church to step up, to change and grow host a group and download the study guide today. In an effort to provide as much value as possible, my team and I are offering an exclusive discount for those interested in hosting a group to lead others through the Cattle, Crops, & Spurs: 12 Week Bible Study.